With over 40 years of combined experience in general dentistry, Larchmont Family Dental has built a reputation and rapport as the top dental and medical professionals in Westchester County, New York serving Larchmont, Mamaroneck, Harrison, and New Rochelle, New York. The dentists at Larchmont Family Dental always strive to provide the best possible dental care. Patients can enjoy the latest in treatment technology, including digital X-rays, lasers, implants, and “the wand” gentle anesthesia. The dentists at Larchmont Family Dental share a philosophy of practicing caring and gentle dentistry. They stay up to date on the newest techniques and research, so that they can offer patients the best and most conservative treatment options. They’re active members of the American Dental Association, the New York State Dental Association, New York County and Westchester County Dental Societies, and the American Academy of Cosmetic Dentistry. Their state-of-the-art dental office is conveniently located at 1415 Boston Post Road in Larchmont, New York, where there’s plenty of parking. 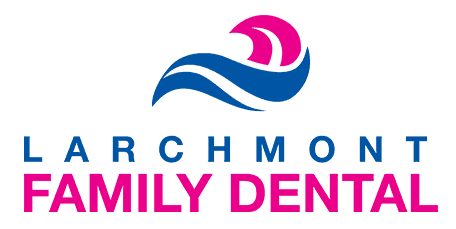 If you have any questions, don’t hesitate to contact Larchmont Family Dental, where your trusted dentists and hygienists provide compassionate solutions for all of your family’s dental needs.